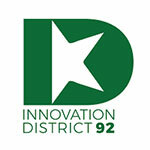 Launched in 2017, the National Incubation Center is the first of its kind technology campus that connects Pakistani entrepreneurs with industry experts and investors. 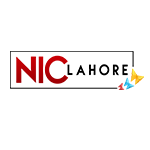 NIC offers startups with free state-of-the-art work space, access to mentors and seed funding. It is a public-private partnership between Ministry of Information Technology and Telecommunication, Ignite – National Technology Fund (formerly National ICTR&D Fund), Jazz and Teamup. National Incubation Center Lahore, setup as an independent center under the LUMS umbrella, aims to formalize the institution’s support for entrepreneurship.It is the nation’s most comprehensive experiential development platform for budding entrepreneurs that formalizes the process of scouting, grooming and facilitating passionate startup founders. NIC aims to build a comprehensive entrepreneurial ecosystem, that will bring together everything and everyone required to maximize the growth potential of Pakistani entrepreneurs. 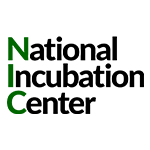 National Incubation Center Peshawar is a joint initiative of LMKT and PTCL that is backed by the Ignite Fund. 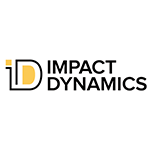 The organization aims to build a thriving entrepreneurial ecosystem in Khyber Pukhtunkhwa and support the creation of disruptive, innovative startups using Founder Institute›s world class curriculum and country’s finest mentors. 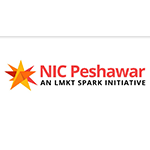 A network of Angel Investors, Venture Capitalist and Technology Development funds is also being developed under the umbrella of NIC Peshawar to support the entrepreneurs of Khyber Pukhtunkhwa. 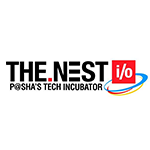 The Nest i/o is a technology incubator in Pakistan, a community hub launched by P@SHA with global partners Google for Entrepreneurs and Samsung, and through a supporting grant from the US State Department. The Nest i/o provides budding entrepreneurs with space, infrastructure, facilities and knowledge sessions as well as access to a network of mentors and potential investors. The Nest i/o’s mission is to blaze the trail for the next generation of entrepreneurs in Pakistan. 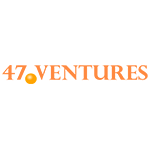 Peshawar 2.0 is a social enterprise aimed at building a startup community in Peshawar, the capital city of Khyber Pukhtunkhwa. It is a citizen-led movement to rebuild and re-brand the city of Peshawar through innovation and entrepreneurship in and at the interface of technology and design. Peshawar 2.0 views entrepreneurship as an empowering medium to translate creativity and talent of the youth into action in a way that has social and economic impact. By instilling a problem-solving and ‘can do’ attitude in our youth, Peshawar 2.0 is set to inspire a generation of innovators and entrepreneurs in the region. 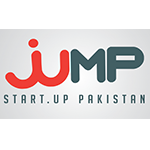 Jumpstart Pakistan is an Islamabad-based technology incubator with a mission to lead change in Pakistan through entrepreneurship. 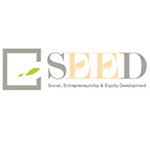 It is unique in its approach as it encourages startups to grow organically instead of relying on external funding. It helps founders by connecting them to experienced professionals and business leaders who then closely guide and mentor these founders throughout their entrepreneurial journey. 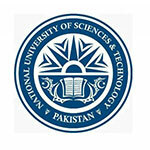 National University of Sciences and Technology (NUST) was established in March 1991 for the promotion of higher scientific education in the country, especially in the fields of science and technology, by providing a stable and disciplined academic environment together with need-based research, pertinent to industrial requirements.The University was granted its Charter in 1993. Over the years, the university has expanded in scope, services and stature and has emerged as a leading comprehensive University in the public sector. 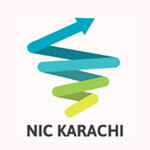 The Technology Incubation Centre (TIC) is the first Technology Incubator of Pakistan established in academia in 2005 by National University of Sciences and Technology (NUST) to provide a nurturing environment to technology based business ideas to prosper and become viable contributors to our community and economy. This is also an attempt to bring academia and industry closer to each other by providing NUST students and faculty a platform to commercialize their research, final year projects and other technology based business ideas. 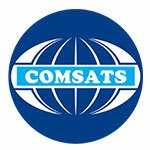 COMSATS Institute of Information Technology (CIIT) is the Pakistan’s first exclusive institute for Information Technology. The CIIT was awarded Charter by the Government of Pakistan in the year 2000 and in less than a decade, it has grown into a quality institution of higher learning. In addition to Information Technology, the Institute offers several bachelor, master and doctoral programs in engineering, basic sciences, management sciences and architecture. 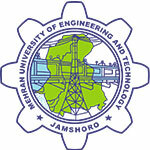 Mehran University of Engineering and Technology (MUET) is considered one of the most distinguished educational institutes of the country. It has 31 departments, institutes, directorates, centers and also boasts one campus at Khairpur Mir, offering courses at undergraduate and postgraduate level in the emerging areas in engineering, science & technology. MUET envisions to become world class educational and research institute and contribute effectively towards building up indigenous and technological capabilities for sustainable socioeconomic development. 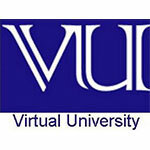 The Virtual University, Pakistan’s first University based completely on modern Information and Communication Technologies, was established to provide extremely affordable world class education to aspiring students all over the country. 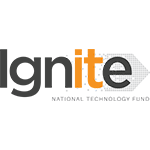 Using free-to-air satellite television broadcasts and the Internet, the Virtual University allows students to follow its rigorous programs regardless of their physical locations. It thus aims at alleviating the lack of capacity in the existing universities while simultaneously tackling the acute shortage of qualified professors in the country. 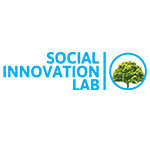 The University of Agriculture, Faisalabad (UAF) is a public research university in Faisalabad, Pakistan. 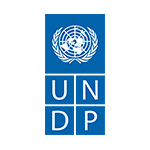 It offers programs leading to bachelor›s, master›s, and doctorate degrees in agriculture and allied fields including Agricultural Engineering and Technology, Food Nutrition and Home Economics, Social sciences, Animal Husbandry, Food Sciences, Biotechnology, Biochemistry, Plant and Animal Breeding, Veterinary Science, Doctor of Pharmacy, Mathematics, Statistics and Sciences. HEC ranked the University of Agriculture, Faisalabad as the best in the agriculture/ veterinary field in Pakistan, and as 4th best university among the top 10 universities in Pakistan (HEC Rankings, 2015). 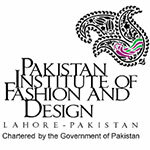 The Pakistan Institute of Fashion and Design (PIFD) is a public sector degree awarding institute specialising in design education. 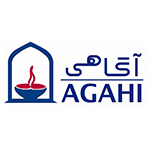 It was established in 1994 to train professionals who can help develop Pakistan’s growing textile industry. PIFD seeks to produce graduates who are able to combine design capability with manufacturing dexterity to create products that are innovative and aesthetically beautiful. PIFD trains students the necessary management and marketing tools in order to promote these products in the markets around the world. PIFD endeavors to create a new generation of designers, entrepreneurs and highly skilled youth to cope with the demand of new millennium. 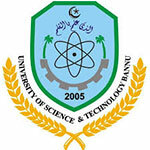 The University of Science and Technology, Bannu (USTB), is a public university located in rural area of Bannu District, Khyber-Pakhtunkhwa, Pakistan. This university has been a great centre of imparting knowledge and promoting research in the Southern Districts of Khyber Pakhtunkhwa, since its establishment in 2005. The University currently offers programs in 21 disciplines including two engineering programs, five Ph.D programmes and MPhil/MS programmes. USTB is committed to promote and accelerate the study of pure and applied sciences and technology in remote areas of Pakistan. 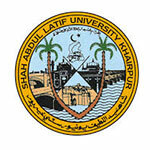 Shah Abdul Latif University (SALU), is a public research university located in rural Khairpur in the province of Sindh, Pakistan. Founded in 1976, the university has developed a strong and transparent system of higher education in the north of Sindh. 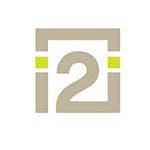 It offers undergraduate, postgraduate, and doctorate programs in various academic disciplines. The university is noted for its top-notch academic staff, and research directed towards the development of humanities, archaeology, Sindh studies, natural and social sciences. 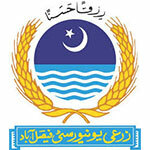 The Government College Women University Faisalabad (GCWUF) is a hub of educational, social and cultural activities having a close liaison with business and industrial communities. The GC Women University offers Ph.D programs in 7 disciples, MS/M.Phil programs in 16 disciplines, Master level programs in 20 disciplines, and Bachelor Programs in 25 disciplines. 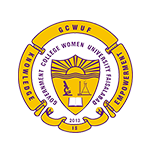 GCWUF mission is to provide students an enabling environment where dialogue is encouraged and ideas envisioned.